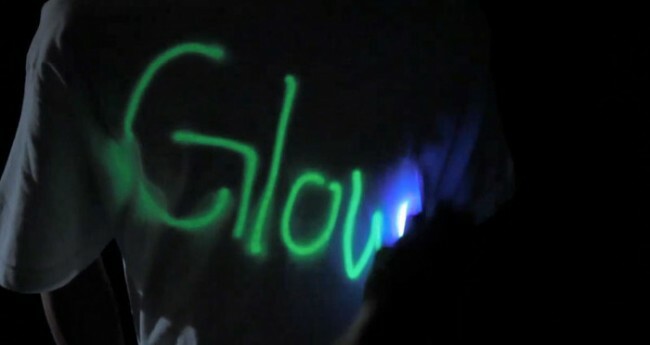 Glow Threads has started a Kickstarter project to raise funds for an interactive Glow in the Dark T-Shirt. 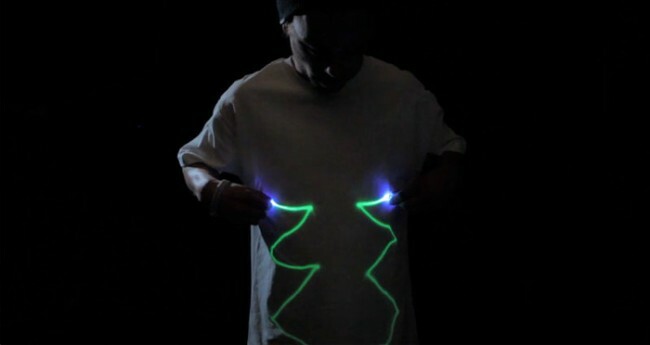 The T-shirt appears to be coated with a material that glows when put under certain types of light such as a supplied keyring light or optional UV laser pointer. The effect lasts for about 1 – 2 minutes normally and slowly fades away with time ready for you to add another doodle on to the shirt. The small supplied keyring is used by the wearer of the shirt to draw his own patterns. The optional UV laser pen can be used from up to 30 feet away to scribble on another persons shirt, again with the effect lasting a few minutes before needing to re-draw. The company behind the project has put it on Kickstarter with the hope of raising $9,000 USD of which they have already received $6,488 in pledges at the time of writing this (with an impressive 36 days to go). Pledges start at $5 for just a keyring UV light and go up to $450 for a full batch of customised shirts. If you just want the t-shirt and keyring it costs $25 USD with delivery estimated for May 2013. Full details of the project can be found over at Kickstarter.